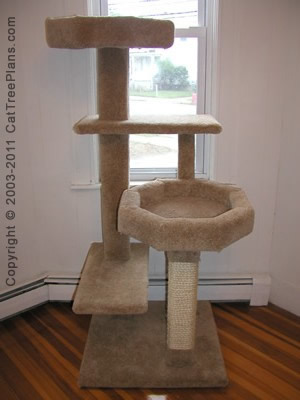 This four level cat tree includes two steps and two resting perches. 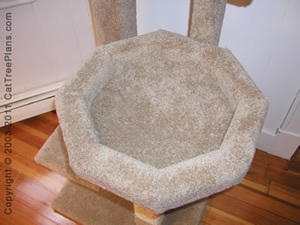 It measures approx 58 inches tall with a 24 x 24 inch base. 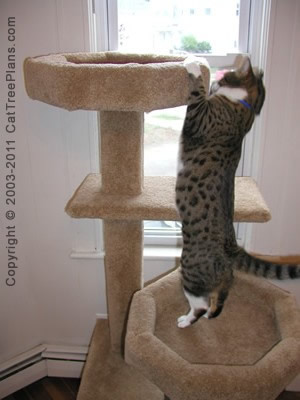 Set up like a staircase, it will provide your cat plenty of exercise. 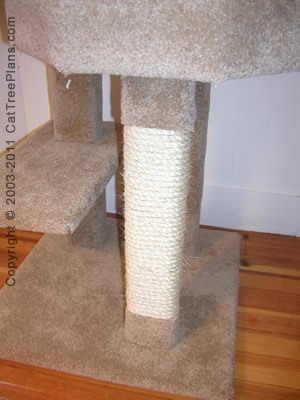 Includes a scratching post made from sisal rope. 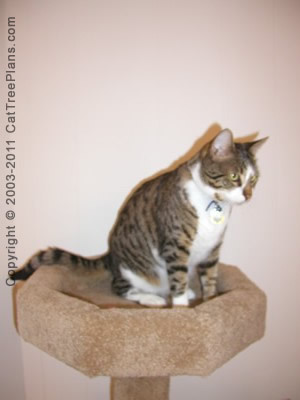 The two perches are great for multi-cat households.